The Preserve at Indian Hills includes 55 and better Townhomes situated in three separate areas of the Indian Hills Golf Course. The plan will include improvements to the Indian Hills Country Club, preserving it in perpetuity. The plan will also preserve 120 out of a total of 143 acres. The townhomes will not impact the vistas of the Club from Breeze Hill Road and Fresh Pond Road, and the character of the neighborhood will be preserved. 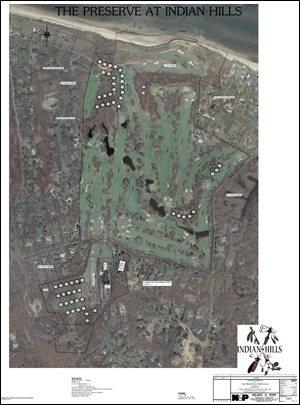 CLICK HERE to download the revised site plan for The Preserve at Indian Hills.